It is often through really good travel writing that I am exposed to the world around me, more than from stories I gather from the news media. Perhaps it requires a personal perspective on places, people, and problems to make another land or culture come alive. That is what happened for me when I read Ian Frazier’s Travels in Siberia. 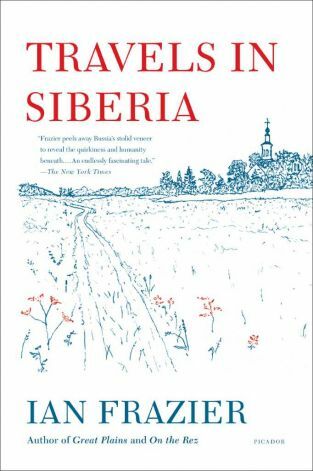 Upon finishing Frazier’s book, I was left with great sadness and great curiosity about Siberia. During my six years working and living in Alaska, I had a chance to meet many Siberians who visited Alaska for official government programs. These included Chukotkans, who are linguistically and ethnically related to Inupiaqs of Alaska and the Inuit and Greenlanders. But because I did not speak Russian, I never was able to learn first hand their tales of their province, which lies just across the Bering Straight from Alaska. I also once worked a year with a former doctor from Novosibirsk, in central Siberia. She had immigrated to the United States and worked in social services. She never talked much of her time there, except to describe persecution of Christians by the Soviets. She gave me an account of one Christian prisoner, who was interned in a Soviet prison in Kamchatka. I have forgotten that book’s name, as I could not read it at that time because it was too depressing a topic. I gave it to a local library, where I hope it was checked out. Frazier manages to avoid this harshness and allows Siberia’s beauty come alive. And Siberia has that in an order of magnitude greater than most of us can imagine. The tragic side to Siberia’s story, of course, are the penal system of the Tsars, which exiled its enemies to the Russian empire’s eastern provinces, and the gulag system of Josef Stalin’s USSR, one of the greatest prison and killing systems in the history of humanity. The region covers more than 5 million square miles, much with arctic and subarctic climates that give way to brief summer months when mosquitos and gnats reign. It also has the world’s largest forest, the taiga. 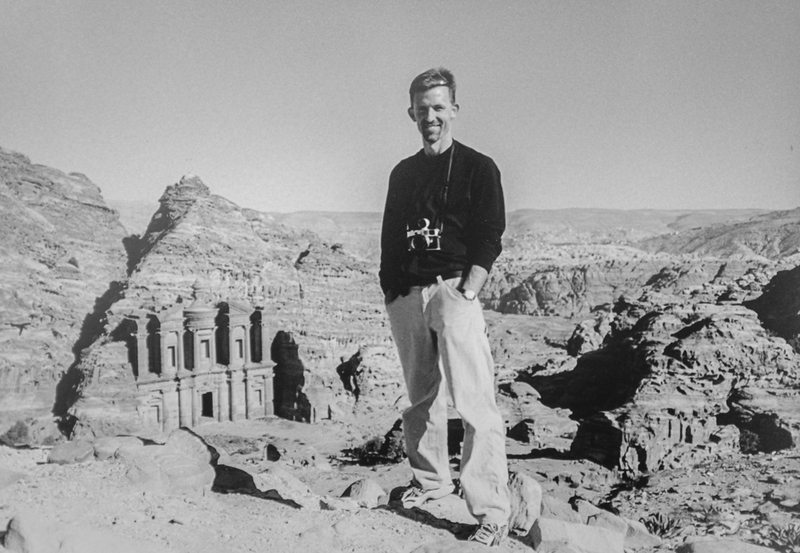 During his cross-continental road trip from Leningrad to Vladivostok in the summer of 2001—one of the greatest road trips I have read about—Frazier and his two Russian guides and companions encounter Siberia’s amazing natural beauty, but also the scars of the Soviets’ and Russians’ treatment of their environment. From coal-choked cities to litter-strewn roadways to heavily polluted places in between, Frazier constantly encounters examples of poor or no governance or any form of regulation. He describes empty barrels (used to bring in fuel), which are strewn across the tundra in places as far as the eye can see. The CIA, which some may not consider to be a neutral arbiter of Russian affairs, notes the following environmental health problems plaguing Russia: “air pollution from heavy industry, emissions of coal-fired electric plants, and transportation in major cities; industrial, municipal, and agricultural pollution of inland waterways and seacoasts; deforestation; soil erosion; soil contamination from improper application of agricultural chemicals; scattered areas of sometimes intense radioactive contamination; groundwater contamination from toxic waste; urban solid waste management; abandoned stocks of obsolete pesticides.” Frazier did not encounter all of these hazards, but certainly confirmed many. Frazier’s later trip to the Russian Far East in 2005, to Yakutsk, and north along the dilapidated Topolinskaya Highway, finally allowed him to visit a former Soviet gulag, or penal colony. Gulags, or “lager” as they are known in Russia, are where Stalin’s regime sent political prisoners and undesirables by the hundreds of thousands to die in harsh prison conditions and be worked to death building railroads or roads, or mining gold in the most notorious of all slave mine systems, in Kolyma in central Siberia. Gulags played a pivotal role in the Soviet economy. Prisoners in gulags mined one-third of all the Soviet Union’s gold, and extracted nearly all of its coal and timber. The gulag population also numbered about one out of every 50 workers in the Soviet Union. An estimated 6-9 million persons perished in what is known as the Great Terror, during the purges of the 1930, and the great famine of 1932-33, according to some estimates. The most famous account of the gulag, of course, is the Gulag Archipelago, the 1973 chronicle of the penal system by the late Aleksandr Solzhenitsyn. Frazier also details the deteriorating conditions in Russia that is leading to the nation’s depopulation in many cities and communities in Siberia. We catch glimpses of those problems in his sad descriptions of rampant alcoholism and a food safety issues. But Frazier barely touches on the public health catastrophe that is befalling Russia and its Siberian provinces. According to United Nations (U.N.) figures, the average life expectancy for a Russian man is 59 years, or 166th place. Women can expect to live 72 years. Overall, Russia now ranks 163rd in overall life expectancy. The gap between expected longevity for men and for women-14 years-is the largest in the developed world. The main killers are: HIV/AIDS, tuberculosis, alcoholism, cancer, cardiovascular and circulatory diseases, suicides, smoking, traffic accidents. The Russian government, according to critics, is doing little to stem the tide. Tuberculosis deaths in Russia are nearly three times what the World Health Organization (WHO) classifies as an epidemic. What’s more, alcohol consumption per person is twice what the WHO considers dangerous to human health. In addition, more than 1 million people in Russia have been diagnosed with HIV or AIDS, according to WHO figures. Russia also has the 6th highest suicide rate in the world, peaking after the Soviet Union’s collapse. There are many factors that have led to Russia’s much publicized population decline. According to the Rand Corporation, the collapse of the old Soviet social system in the 1990s was a major factor. In the Soviet era, nearly all health care was provided free by the state, with a system that emphasized the quantity of medical services, not quality of those services. When the centralized economy broke down, the public-health sector fell into a fiscal disrepair without a means of surviving in a market system. According to demographers, Russia’s population has dropped from 149 million a decade ago to just over 144 million today. And, that decline is accelerating.